James Corones came of age in New Jersey and New York state during the post-Sputnik era that ignited a push for technical education in the United States, but he doubted that atmosphere influenced his career choice. “I always wanted to be a scientist,” he said. That simple desire led to a career as a researcher, administrator and, finally, founder of the Krell Institute, a nonprofit organization dedicated to serving the scientific and educational communities. Under his guidance, Krell grew to supervise several programs, led by two of the most prestigious graduate fellowships offered in the United States. Corones retired from the company in December 2016 and died on April 28, 2017, after a long illness. Corones set out to be a scientist, but his parents established the example for the kind of mid-career change he would later make to found Krell. His father, John, was a salesman for oil producer Atlantic Richfield Company and his mother, Virginia, was a homemaker, but the couple eventually used savings to buy and operate an elevator installation and repair company. James Corones, meanwhile, discovered physics as a high school freshman and fell in love with its precision. He received a degree in the subject from Brown University and went on to earn a doctorate from Boston University with an emphasis on mathematical physics. He was an academic grandson of Albert Einstein. As a graduate student, he worked for two years in Poland as a Fulbright scholar. Later, the National Academy of Sciences would twice name him an Exchange Scientist, sending Corones overseas again. Through the course of his research career, Corones focused on linear and nonlinear wave propagation and worked with acoustic and electromagnetic inverse scattering problems. The Department of Energy, the Office of Naval Research, the Air Force Office of Scientific Research and the National Science Foundation supported his work. He also served on many journal editorial and advisory boards. Corones was working as a postdoctoral researcher at the University of Calgary when he learned of an appointment at Iowa State University in Ames. He joined the faculty in 1973, stayed on after his one-year term and was promoted to professor in 1982. Meanwhile, Corones also joined the staff at Ames Laboratory, an ISU-managed Department of Energy facility with roots in the Manhattan Project. He continued his research, but eventually moved into lab management. “I found I had a certain talent for scientific administration,” Corones said, and from 1978 to 1997, he served in various Ames Laboratory administrative posts, including program director for applied mathematical sciences, program director for environmental technology development, deputy director and acting director. Adventures in Supercomputing (AiS), which introduced middle- and high-school teachers and their students to high-performance computing. The Undergraduate Computational Engineering and Sciences (UCES) Project, which collected, developed and distributed computational science education materials for undergraduate students. The Department of Energy Computational Science Graduate Fellowship (DOE CSGF), which supports students seeking doctoral degrees in fields that use high-performance computing to solve complex science and engineering problems. Corones was 12 when he saw the 1956 science fiction film, which starred a leggy Anne Francis and featured Robby, a droll robot. “I was wowed” by the film. “And by her. And Robby,” Corones recalled. Everything about the movie fascinated him, especially the early electronic music score. 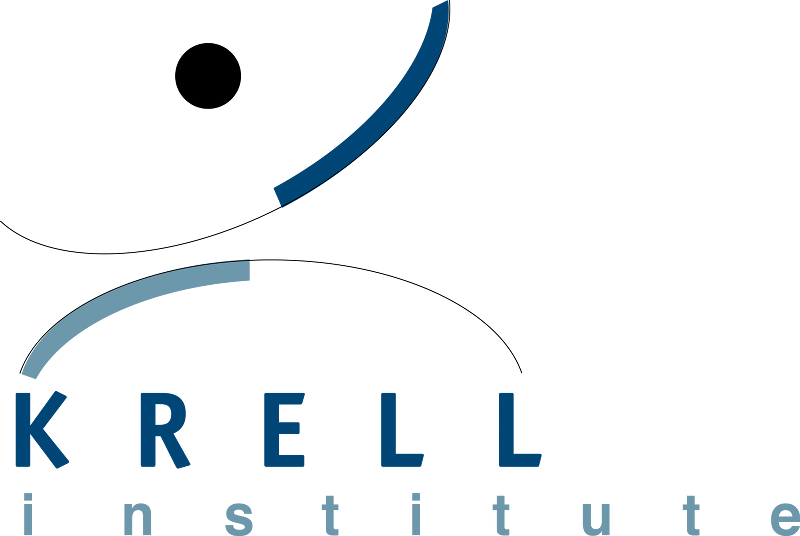 So Corones named the company the Krell Institute, after an advanced civilization that inhabited the planet of the movie’s title. Krell took on additional projects, such as overseeing a DOE fellowship that fostered computer science research for high-performance computing, producing a DOE report on fusion energy simulation, organizing scientific meetings and other tasks. Some of these, including AiS and UCES, have ended, but Krell has developed other projects to take their place, especially the DOE National Nuclear Security Administration Stewardship Science Graduate Fellowship (DOE NNSA SSGF). This program supports students in fields of study that solve complex science and engineering problems critical to maintaining the nation’s safe, secure and effective nuclear deterrent. The DOE CSGF and the DOE NNSA SSGF have become highly sought, premier science graduate fellowships. The computational science program has more than 400 alumni working at government laboratories, universities and colleges and private companies. They have formed a community of high-performance computing practitioners who are implementing this tool for discovery and advancement. The nearly 40 graduates of the smaller, newer stewardship science program conduct research vital to the nation’s security. Their work also looks to a future with cleaner energy sources, reduced risk of nuclear proliferation and greater understanding of the universe. Corones envisioned the Krell Institute as a vehicle to educate superior scientists for the U.S. workforce, helping the country continue to lead the world in multiple disciplines. His work helped establish the field of computational science and advanced high-performance computing and national nuclear safety. Krell is still based in Ames, although Corones moved to the Washington, D.C. area in 2004 to facilitate collaboration with the DOE and other federal agencies. Personally, Corones was a polymath with voracious interests in areas of music, history, sports, politics, religion, philosophy, art, gardening, literature, film, theater and other subjects. He dove into each discipline with gusto. Corones’ humor, intelligence and foresight have given the Krell Institute a firm foundation and a bright future. We strive to fulfill the mission he envisioned at the company’s founding.